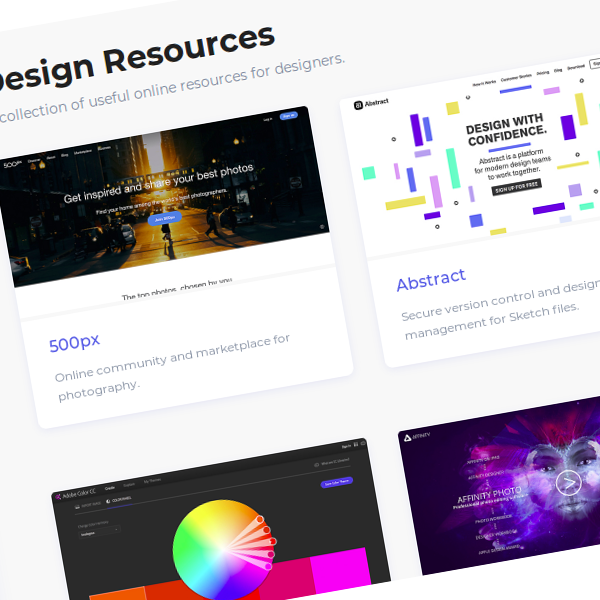 Neede is a curated collection of some of the best online design resources. Colors: palettes and tools to create them, collections of color code, encyclopedias of colors, gradients, applications, etc. Community: links to different design communities to show your work, keep up with trends, etc. Icons: tools to create and manage icons, or icon packages to download. Inspiration: trends in web and mobile design, products and jobs that inspire. Photos: stock photos, resources for organizing photos and more. Software: collaboration tools, digital design and prototypes. Typography: font libraries, inspiration and everything related to typography. User interface design: templates, resources and component libraries. Design of user experience: articles on best design practices and test tools.